Certain plumbers in Hamilton, don’t offer full-service plumbing. At Hamilton Plumbing, we provide it all-from emergency services, to flooded basements, to hydro-jetting. You can bet we have all your plumbing needs covered. Not every plumber offers hydro-getting services, but you can be assured that our company stands above the pack by equipping our plumbing specialist with the most up-to-date and effective methods to properly clean and unclog even the worst of pipes. With our state-of-the-art technology and equipment, you’ll be amazed the difference Hamilton Plumbing can make. Give us a call if you’re in need of hydro-jetting services. Hydro-getting is the safest and most effective way to clean your plumbing systems. It’s the perfect compromise of being cost effective and getting that deep clean touch. 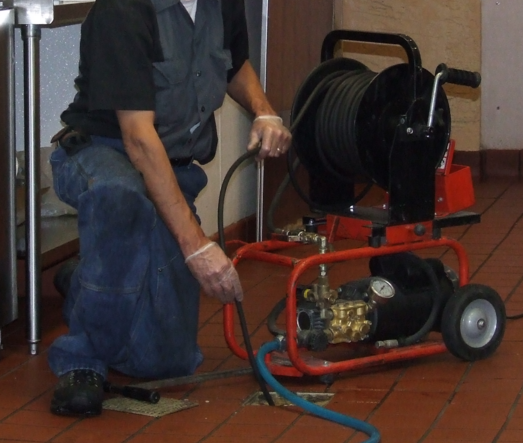 With our high-pressure water jet cleaners, we flush water through with a specialized hose and nozzle to get rid of nasty grease, unwanted blockage, disgusting sludge, and residue build-up that lurks in home bathrooms, kitchens, industrial complexes, public facilities, restaurant kitchens, sewers, septic tanks, and in many other places. We are perfect for home or offices, and for deep cleaning restaurant drains, auto shops, dry cleaning facilities, and other commercial establishments. If your home or commercial business is in need of hydro-jetting services, there’s no better time than now to give Hamilton Plumbing a call. Have a clogged pipe or drain? Then imagine a rush of pressurized water and special cleaners, pumping through your pipes to clear blockage, and you’ve just nailed what Hamilton Plumbing hydro-getting does. Clogs can not only emit unwanted odor, but they could eventually lead to bigger water problems if left unchecked. Hire us to routinely come and hydro-jet your home or business to keep pipes clean and clear of disgusting sludge and back-ups. Our services are great for garbage disposals, getting rid of clogged hair, kitchen and bathroom pipes, and more. Hydro Jetting is extremely safe when cleaning your pipes. We use no harsh chemicals and regulate the proper amount of flow to correctly protect and ensure your pipe’s integrity. We never break down or corrode pipes with our hydro-getting. This helps keep the pipe’s integrity in tact, and the water and cleaners we use don’t break down the piping’s components. 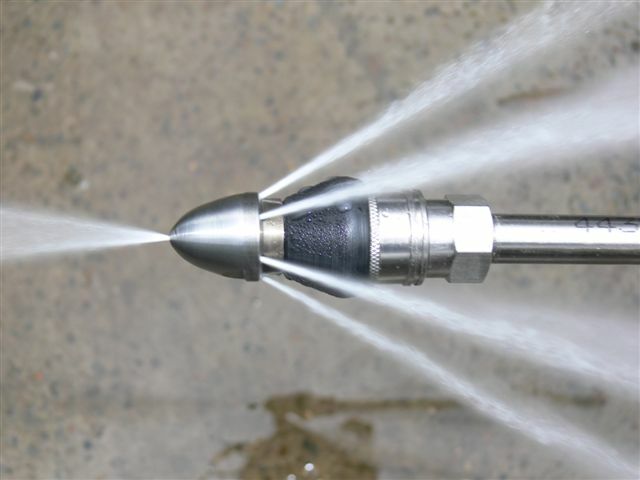 Our hydro-jetting is also chemical free and odorless. This is a great way to go green for the environment, and we’re happy to play our part.